Make learning chemistry fun with gumdrop molecules. This has everything you need to make gumdrop molecules in your classroom as either a whole class activity or as a center. 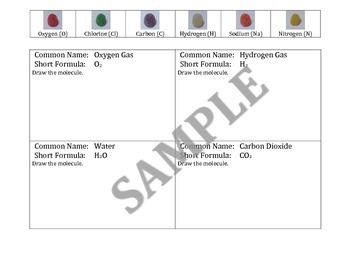 This includes two versions - one with pictures of every molecule and one without pictures. 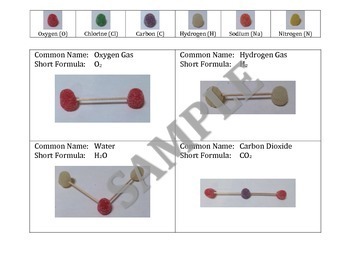 The version with pictures allows younger students or inclusion students to be able to participate and begin to develop an understanding of atoms and molecules. I have used the version with pictures successful with 4 and 5-year-olds. Use the version without pictures for older students or gifted and talented students.